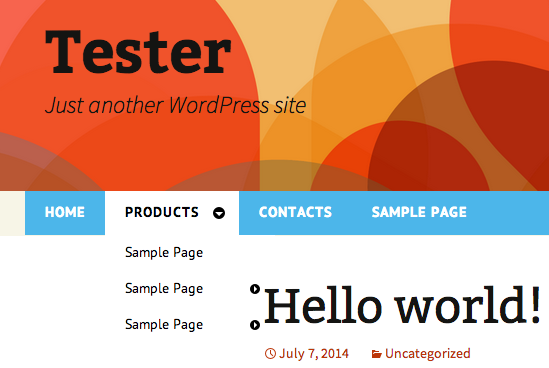 Today I will be walking you through how to create a custom drop down menu in WordPress. We will be using the WordPress menu system to control the structure of the menu and then applying our own custom styles to the WordPress theme. The menu I will be explaining is fully responsive and works with touch devices, so there is a little bit of jQuery code needed to make sure everything is cross browser compatible. Today, we are happy to present a new freebie: a beautiful theme, designed by DesignDisease which was developed for Smashing Magazine and its readers. As usual, the theme is free to use in both private and commercial projects. The theme is based upon the Twenty Ten WordPress theme and requires WordPress 3.0 or higher to run. Hello! We’re always pretty excited when we get to release another free theme for you guys, so here it is – OneNote. The theme features an elegant design that uses a dark (brown) content area against a light page background accented by a spiffy floral pattern reminiscent perhaps of libraries of old estate manors in the movies (or if you own one). The theme features a two-column design and is widgetized for easy customization. It also uses two plugins (which we’ve included in the download file) WP-PageNavi and WP Categories and Posts to streamline the navigation and for you to modify the “In Other News” section in the content area. The theme also features quick links (via icons) to your social network pages (Twitter and Facebook) at the top of the page. 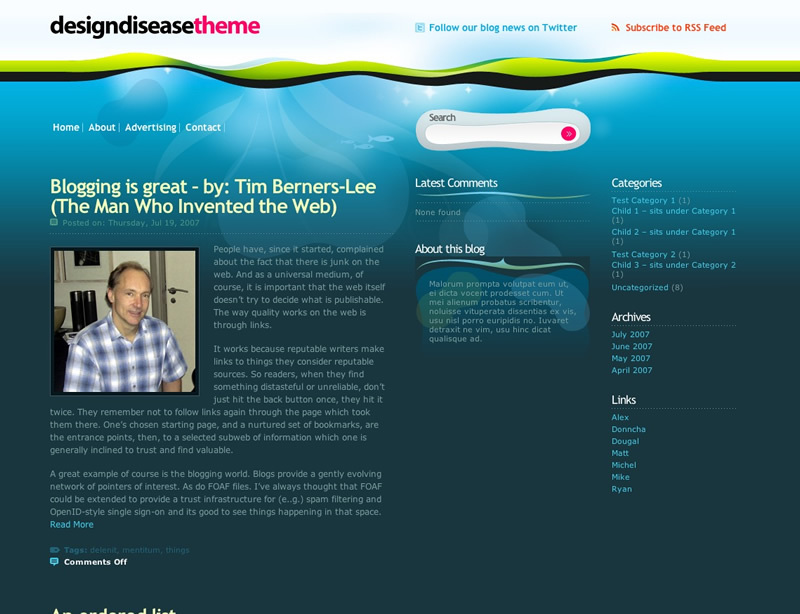 Finally the old blue design has become a free theme called, what other than DesignDisease Theme. 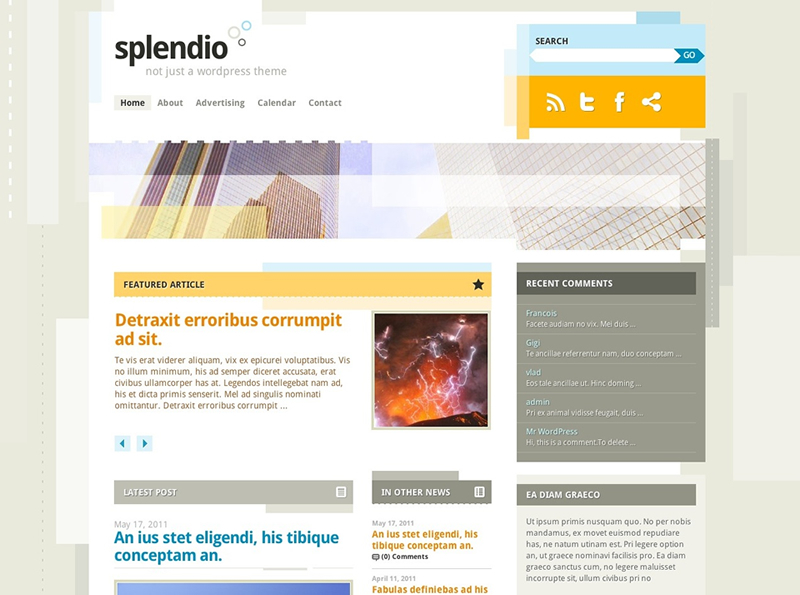 Many of you requested this theme from the time we first launched it on this website. So, when we redesigned the main site, we knew we knew we had to release it to the masses. For those who aren’t familiar with the old theme, it can be described as a dark, oceanic, with long curvy stripes. All shapes morphed to curves. You can download it here! The theme is fully widgetized as all our themes are. The plugins needed are included in the theme files so there is no need to download them again. After installing WP-Page Navi deselect the option of using the default css style for this plugin.